NAFCU's new credit union Board of Directors Online Training Subscription provides both new and seasoned directors with a comprehensive understanding of their role and how the credit union system works. The 11 training modules are taught by Anthony Demangone, EVP and COO of NAFCU, and the author of our best-selling Credit Union Director Handbook. "This program has been a key component to the training needs of our volunteers and staff. We have benefited from for this program since 2009, and plan to renew again." In addition to the below training modules, your subscription includes access to hot topic webinars added throughout the year for credit union board of directors (approximately 3-4 per year). 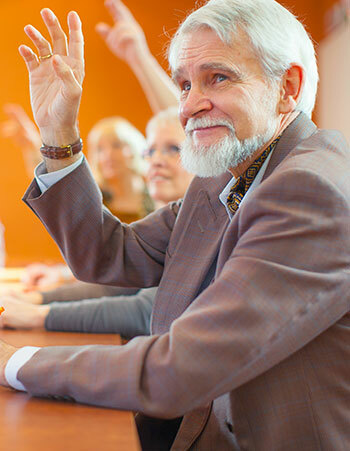 Our modules are designed to meet NCUA expectations for credit union board training. Keep a copy of this outline within your training records to show to NCUA or other examiners. How do you form a credit union? Do all other things "necessary and proper." Overview: Too little or too much? Which apply to credit union volunteers? Why does NCUA examine credit unions? We'll calculate your credit union's custom price—just answer these quick questions! Price includes a full-year of access for your entire credit union. Already purchased? Go to the Online Training Center to access your purchased training and webinars.